If you had asked me all through out high school what was my favourite product, I would have immediately answered Lucas Paw Paw ointment. This was my go to everything product but mostly as a lip balm. Psh nothing could beat it. Then in the last couple of years I found that I started gravitating to other products. 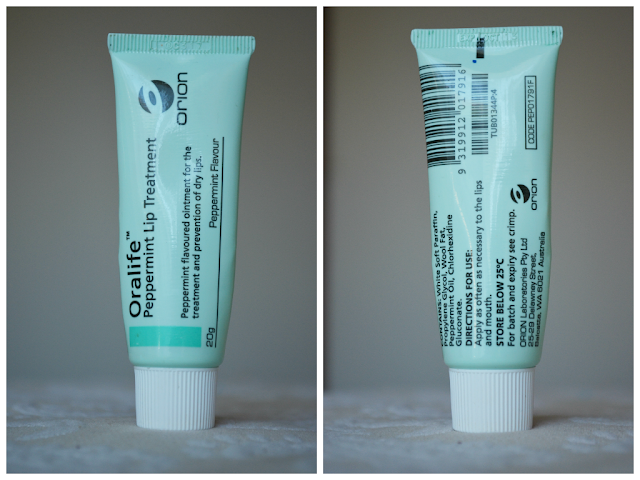 So meet the new love of my life, the Oralife Peppermint Lip Treatment. It is definitely not a new product, nor the fanciest one. 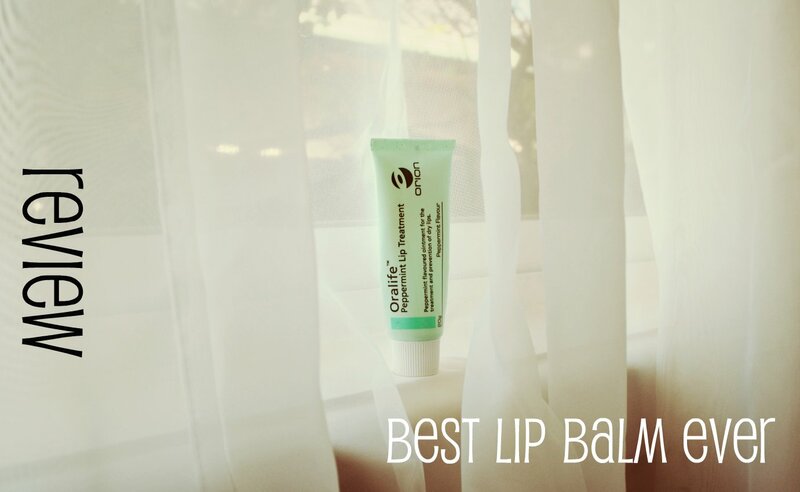 But boy does this keep your lips looking and feeling amazing. I attribute my not-too-dry lips this winter season to this one product. There is usually at least 2 tubes floating around my house. One on my vanity and one in the handbag. This lip treatment is made by a pharmaceutical company, Orion, originally for patients in hospitals undergoing treatments which cause their lips to become very dry and cracked (e.g. chemo). It creates an amazing occlusive layer of moisturisation. And by minimising water loss from the lips, it leaves them supple and soft. I apply this every night without fail and throughout the day as I remember. The ingredients in this are very basic. But that is probably my favourite part of this product. It looks like something we would make during a extemporaneous preparation practical at uni. It is a paraffin based product, and with the added wool fat the ointment is quite thick but surprisingly not as oily as I'd thought. The peppermint oil is very strong which I personally really like. It leaves me feeling very fresh (and also gives the illusion of fresh breath). During crazy cold winter mornings, it can be quite solid. But once you squeeze some onto your finger and apply it to your lips, it softens up very quickly. The opposite is also true during summer, where it can become a liquidy mess. But no matter what form it turns into, the ointment never changes texture or scent. You can barely see it on the far right, but it softens at body temperature and applies very smoothly. Warning: it is usually very pleasant on the lips. But if you happen to apply too much, expect a slight bitter taste. Yes I am always trying new lip balms. Seriously, a girl can never have too many. But at the end of the day I still come back to this. My bestie nearly had a fit of excitement on the train when she was telling me about this stuff and I totally forgot about it until I saw this post. If I didn't have 30 unopened lip balms lying around I would be off to the shops right now..